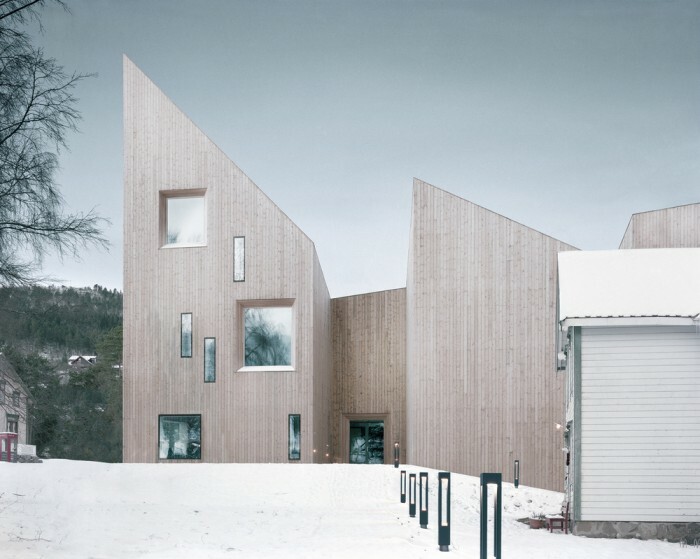 Reiulf Ramstad Arkitekter has earned a reputation over the last years for creating bold, simple architecture with a strong connection to the Scandinavian context. 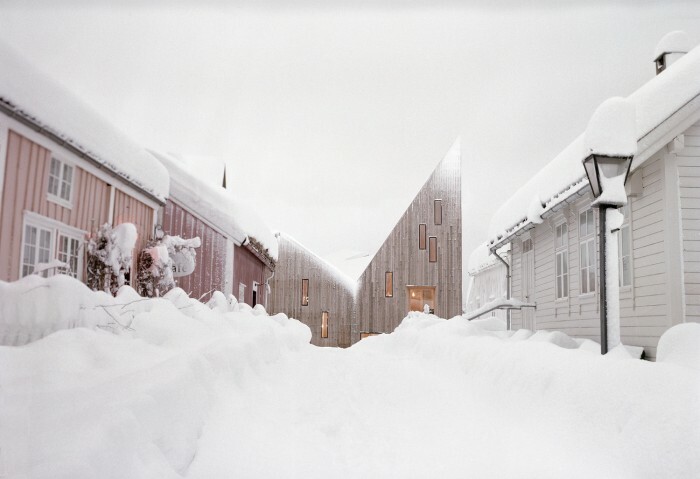 With the opening of the new Romsdal Folk Museum in Molde, Norway, the Oslo-based studio showed once again that their design approach is rooted in rationality and sustainability. This remarkable building will house one of the country’s largest exhibits on the folk history and identity of the entire region. 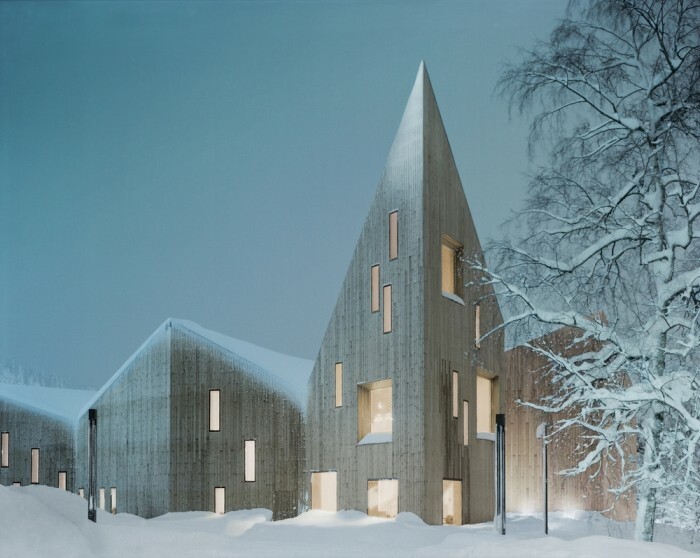 The architects have created the sharp angular roofline as a symbolic landmark, to highlight its meaning and function through a dramatic architectural expression. 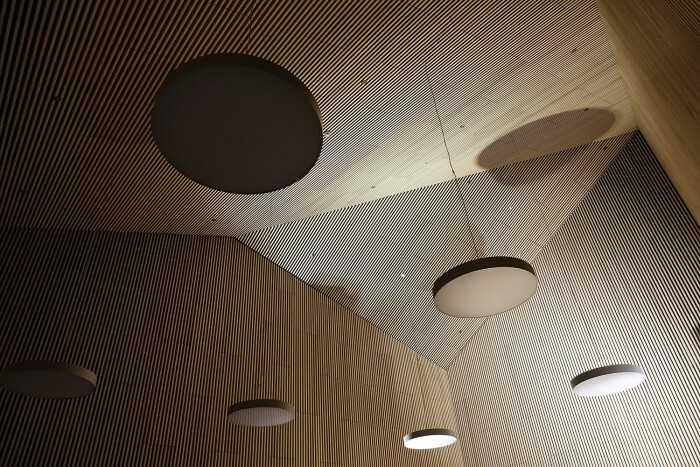 Located in the city center, the building’s design refers to the urbanity and morphology of the town; the pointed structure is a direct reference to the surrounding mountains. 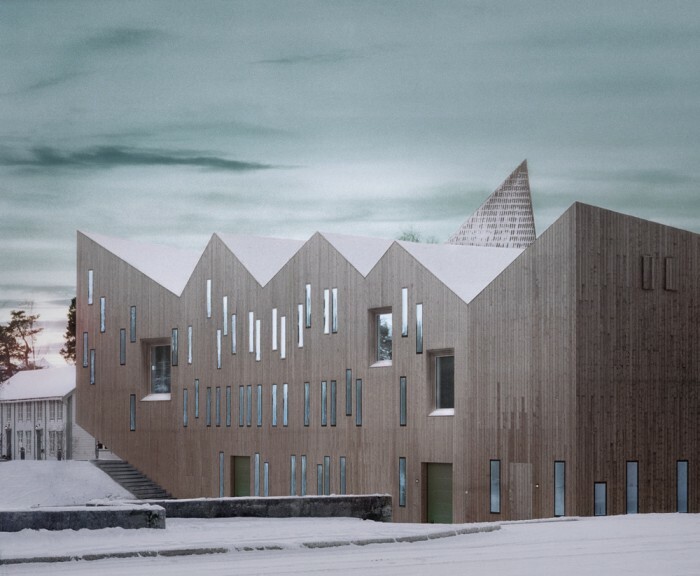 The whole project has been clad in locally-sourced pinewood which contributes to the Norwegian tradition of timber and sustainable construction. 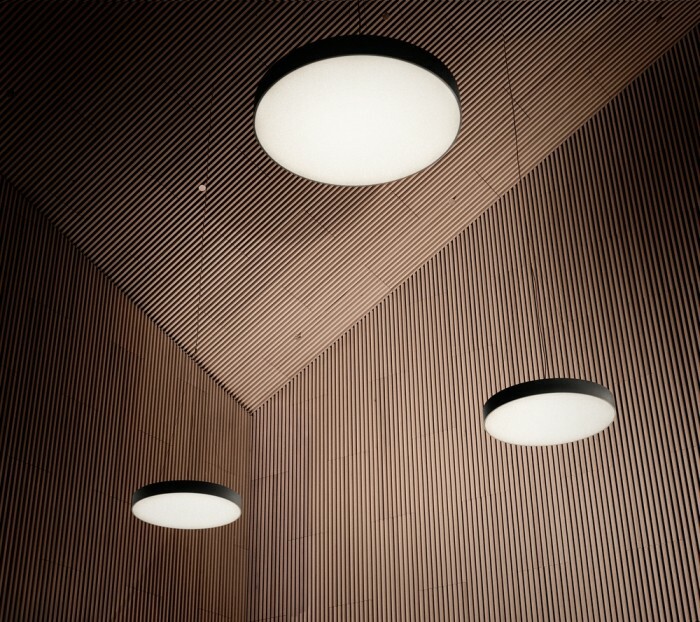 Even the angled ceilings on the inside are covered with elegant strips of pine, illuminated by beautiful lighting fixtures. 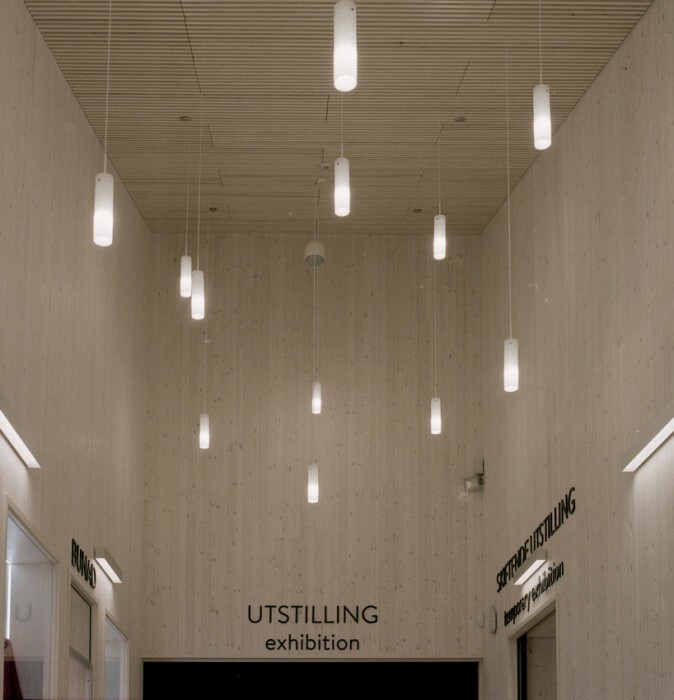 While the different pitches of the roof create a striking form, the plan geometry is quite simple; large sliding doors separate the permanent and temporary exhibition areas, giving the curators the flexibility to combine or separate the spaces. 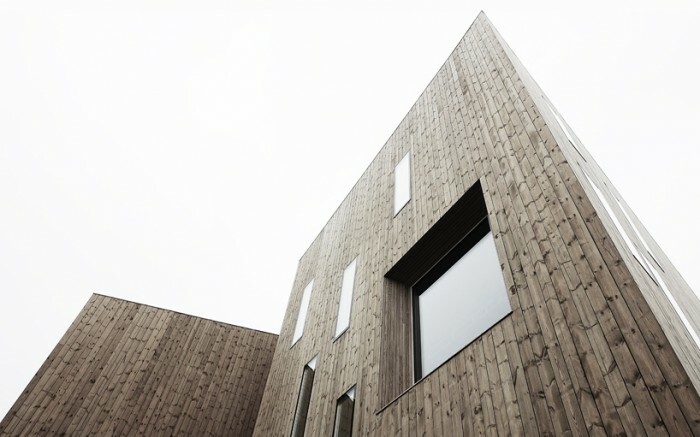 The generous rectangular windows animate the composition of the envelope and underline the verticality of the project. 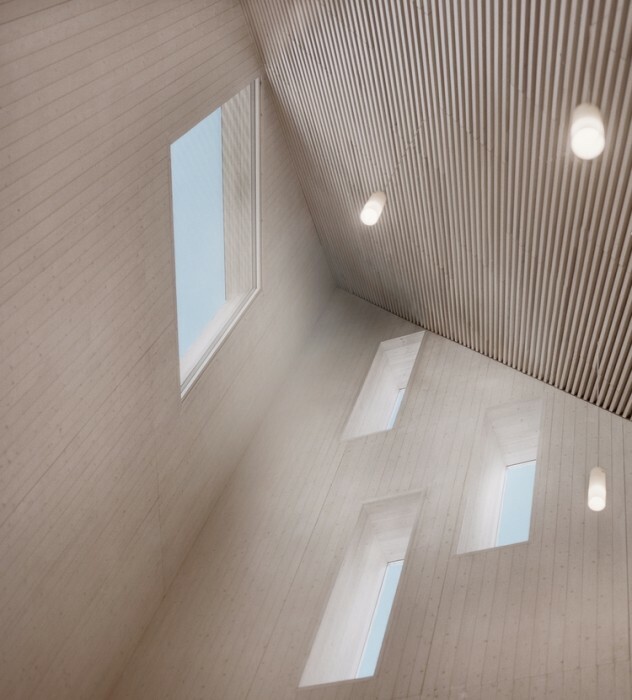 These different openings filter the daylight in such way that the internal spaces are enriched by gradations and translucency nuances. However, the main exhibition rooms are black boxes, giving the curators total control of artificial lighting in these areas. All the glazing units have high-energy performance glass, some with silk printed colours and patterns. Take a look a these stunning photographs below. 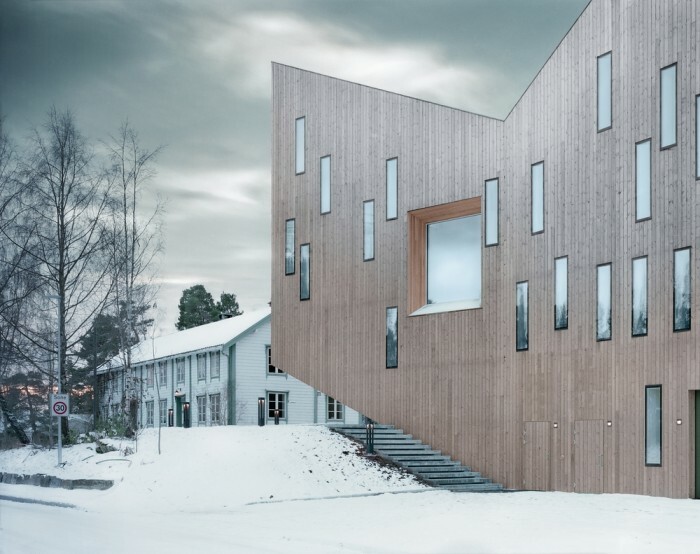 If you like the work of Reiulf Ramstad Arkitekter, you’ll love this stunning holiday home!